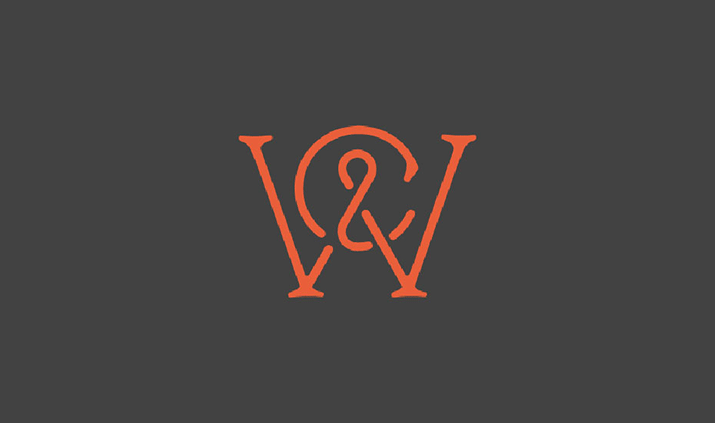 Creating a monogram is a popular design practice for logos, badges, signage, insignias, and signatures (it actually dates back to the early 350BC!). If you’re working on a monogram design, this collection of monogram fonts and typography is a helpful starting point! Many brands, products, and businesses still use monograms to craft unique logos that stand out from the crowd (like Volkswagen or Coco Chanel). And we’ve handpicked several unique monogram fonts with decorative designs that you can use for your various projects. Best of all, you can download all of them to try them out! Envato Elements gives you unlimited access to over 500,000 design resources for a single price. 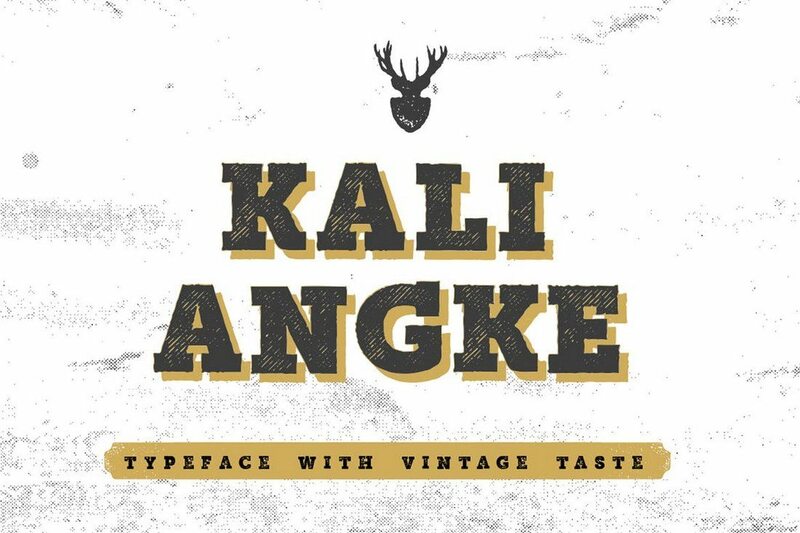 This beautiful vintage-themed font comes with letters featuring stylish decorations and curvy edges that makes it the perfect choice for designing monogram badges and logos. The font includes multilingual characters and lots of alternates as well. 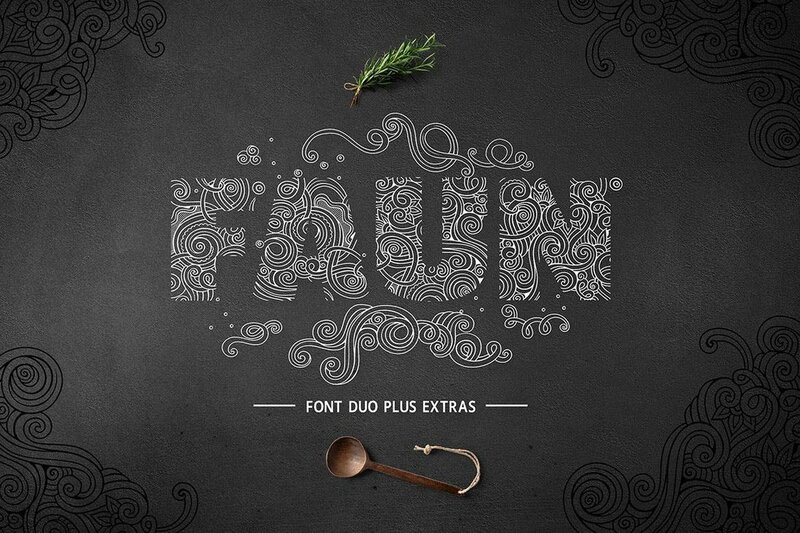 Faun is a font duo made specifically for creating monograms. At first sight, the font will remind you of the creative monogram logo of Unilever. 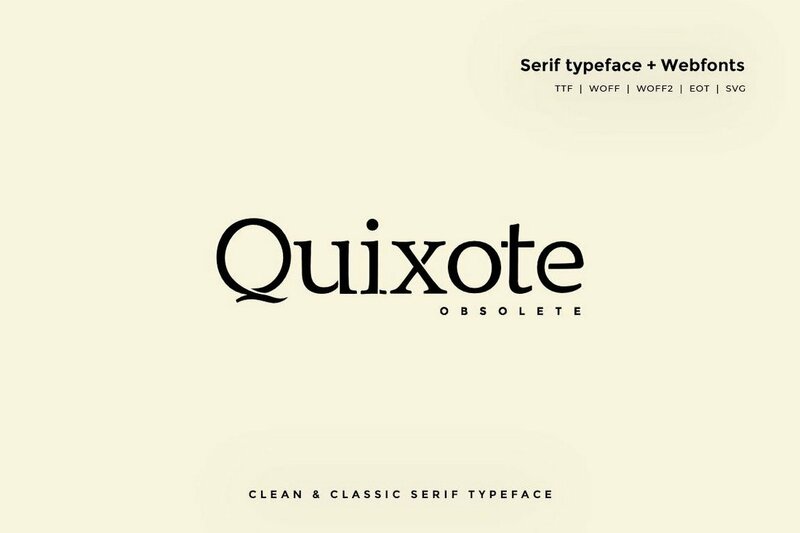 You can create a similar logo or a monogram using this font without having to spend a fortune on a logo design agency. 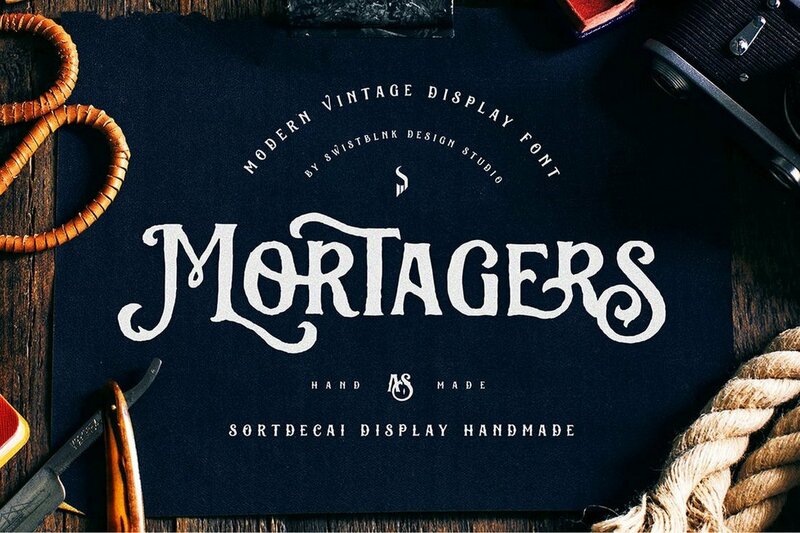 Sortdecai is a family of handcrafted fonts that feature vintage designs. It comes with 370 glyphs along with ligatures, alternates, and lots more. The font also supports OpenType features for InDesign and Illustrator. 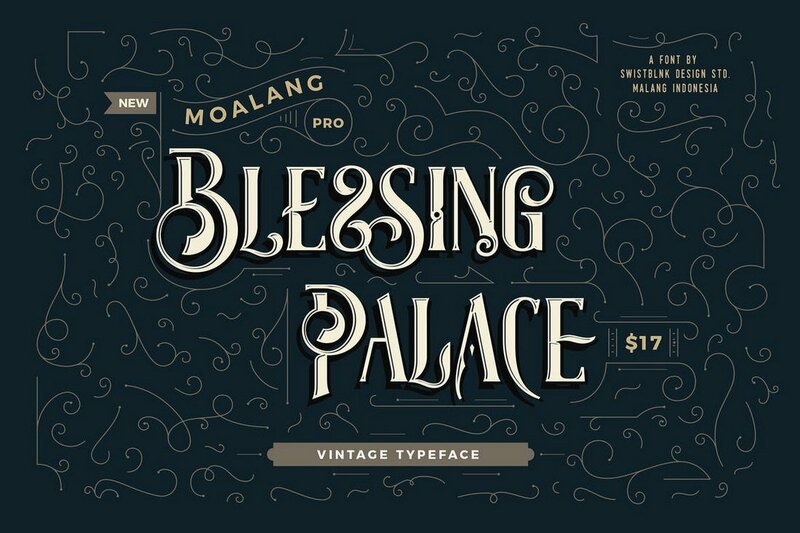 Another stylish font that features both uppercase and lowercase characters with beautiful decorative designs. You can use the font to create modern monograms as well as logo designs. 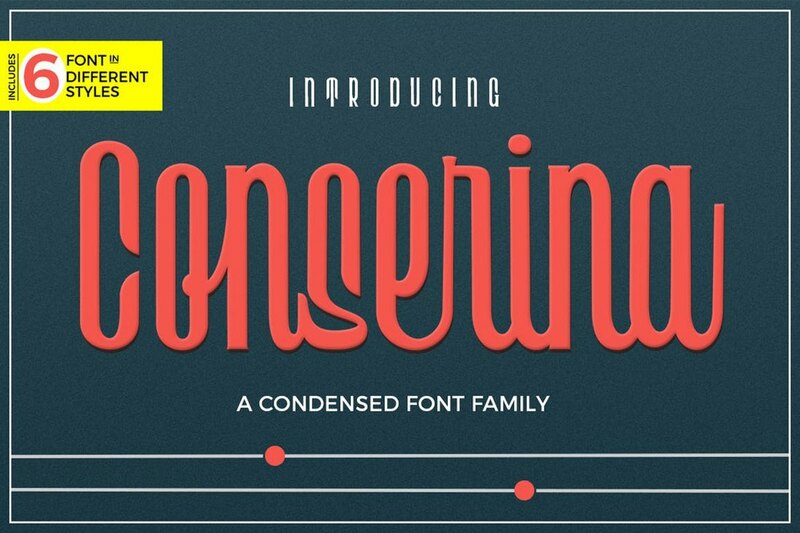 Conserina is a condensed font that features a unique narrow design. The font comes in 6 different weights ranging from light to bold. It’s perfect for crafting logos, titles, and monograms. 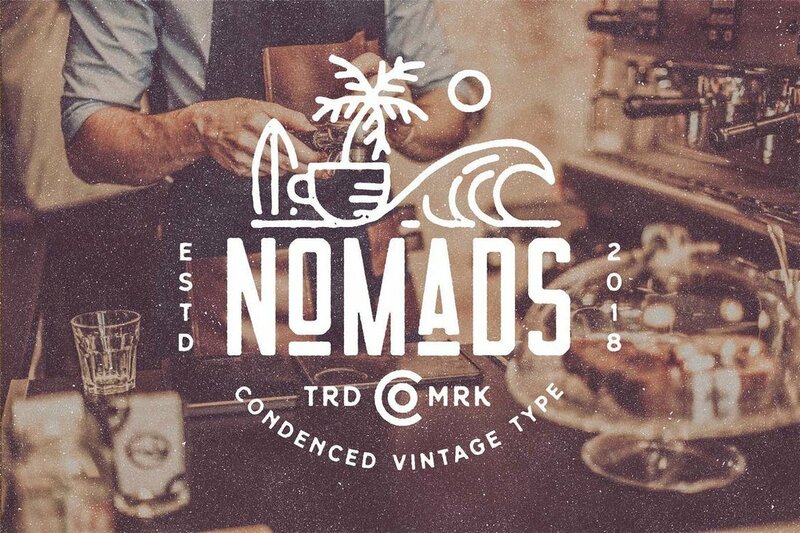 Nomads font comes with a retro-themed design and decorative elements. It has the ideal look and design making monogram badges. The font is available in Regular, Rounded, and Vintage styles. The plain and simple design of this font makes it the best choice for designing monograms for luxury and high-end brands. The clean classic look of the font makes it truly one of a kind. Radon is a monogram font made specifically for crafting logos. It features a unique character design that will make your designs stand out from the crowd. The font comes in Regular, Bold, and Deco styles. 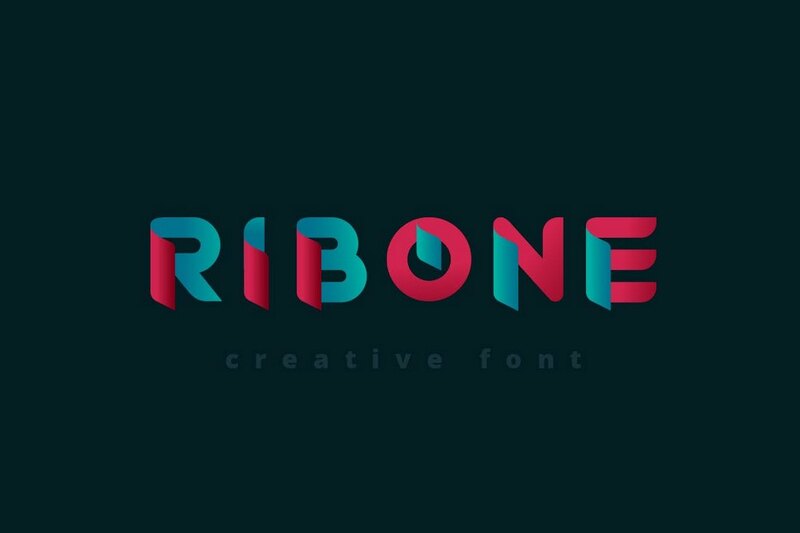 RibOne is also a font with a creative set of characters. It has a design made for creating monograms for modern brands. The color gradient version of the font is also included in this pack as an EPS file. This is a unique bundle of monogram letters that comes in Light and Regular styles. The designer promises that you can use the font to create more than 600 different combinations to create monogram badges. It also comes with 10 premade badges in AI and EPS formats as well. At first sight, you can see that this is the perfect font for crafting badges, signage, and logos. 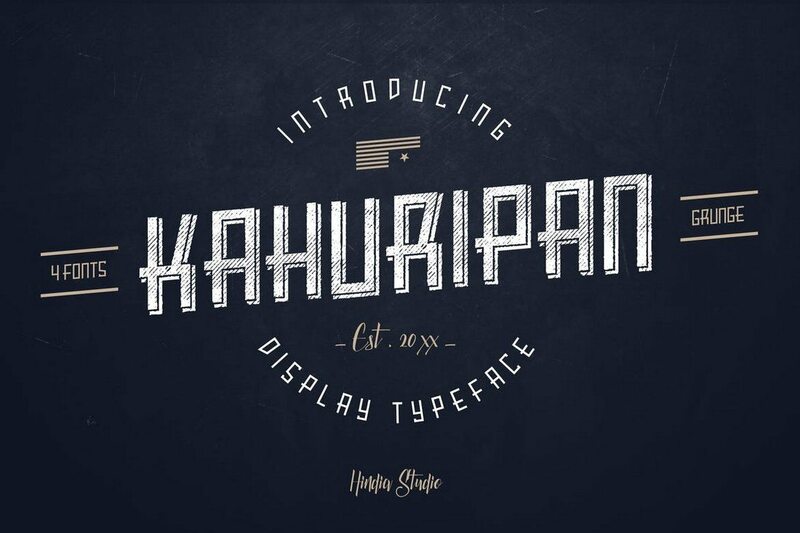 Kahuripan is a bold display font that can also be used for many types of monogram design work. You can use it to craft many types of designs from labels to product packaging, T-shirt designs, and more. 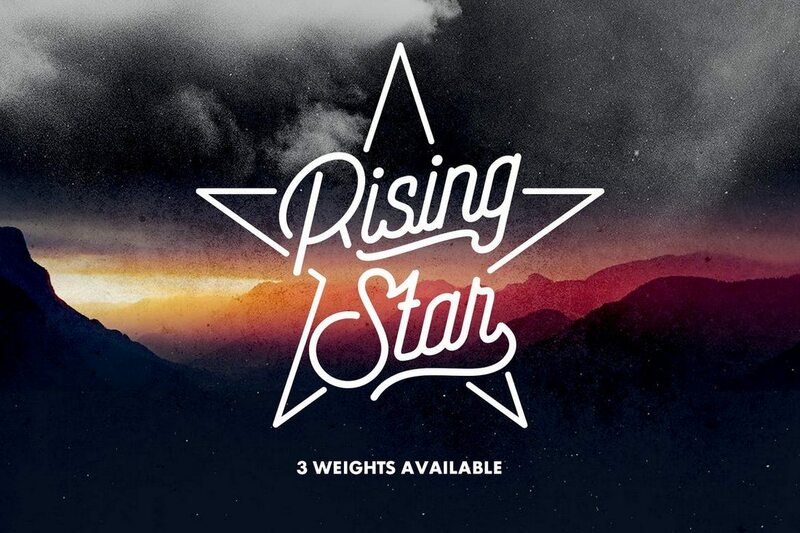 Rising star is a monoline script font that comes with a modern design. Monoline is a type of font that’s commonly used in logo design. This font, however, features a modern design that makes it suitable for monogram designs such as signage and insignias as well. The font also includes 3 different weights. 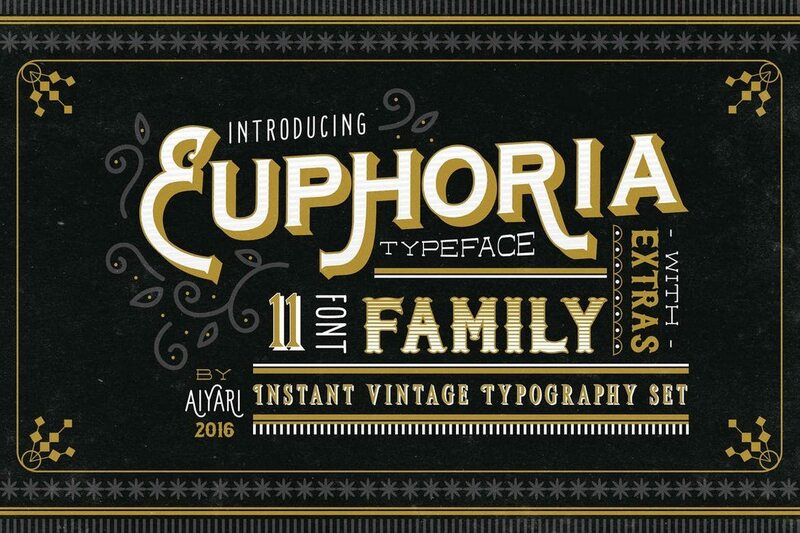 Euphoria is a family of fonts that features a design inspired by the Victorian-era. It comes in several different styles of the font including a shadow, gradient, serif, outline, tuscan, and more, making a total of 11 fonts. All typefaces include uppercase and lowercase letters, numbers, punctuations, and alternate characters. Featuring a mixed design of modern and vintage elements, Mutiara is a bold typeface that goes along with many different types of monogram designs. The font comes with slab, bold, and rough styles along with 54 alternate characters for crafting unique designs. 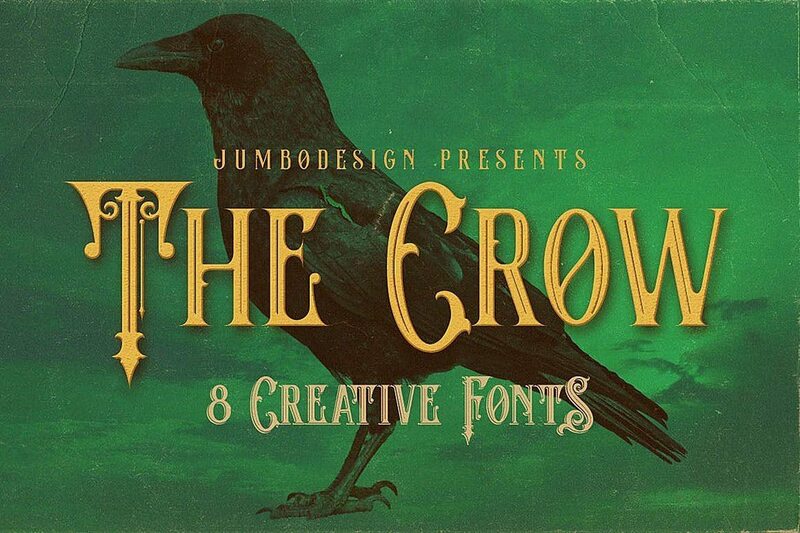 The crow is a unique retro-themed font with a Victorian-era design. The font can be used to craft many different types of monograms as well as logo designs and signage. The crow also features 8 different types of font styles, including grunge, shadow, and inline. You’ll be able to use the fonts with multiple projects. 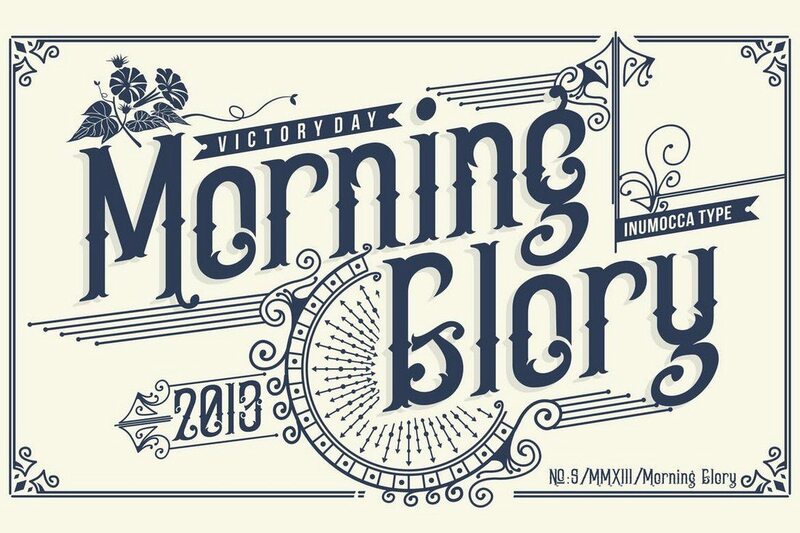 Morning glory is yet another font that’s been designed inspired by Victorian day culture and fashion. It includes both uppercase and lowercase letters, symbols, numbers, and punctuation. 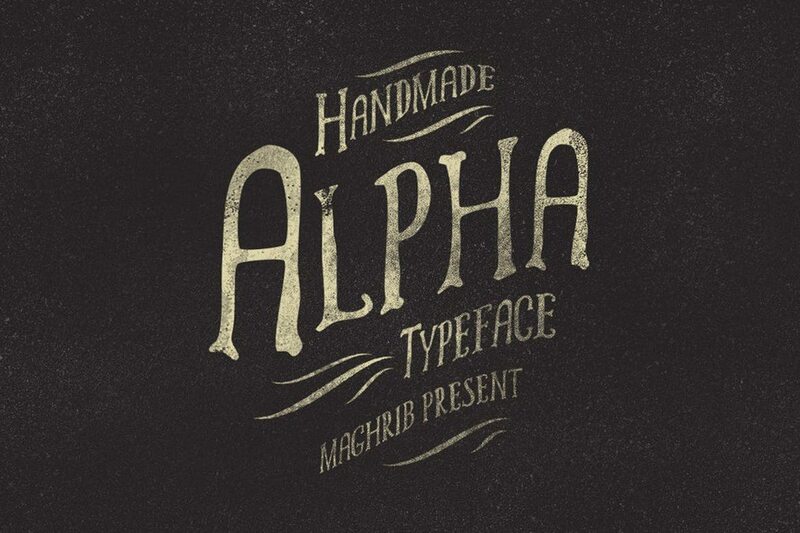 The font is ideal for designing insignias, badges, and more. 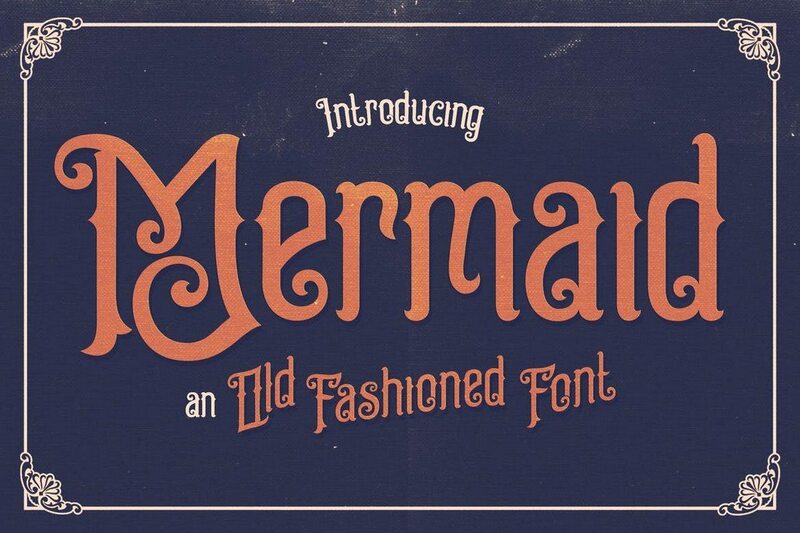 This font also features a vintage design with a quirky feel. It’s most suitable for signage, badge, and other types of monogram designs. The font also includes a webfont version, which will come in handy if you’re working on a website or a web app design. 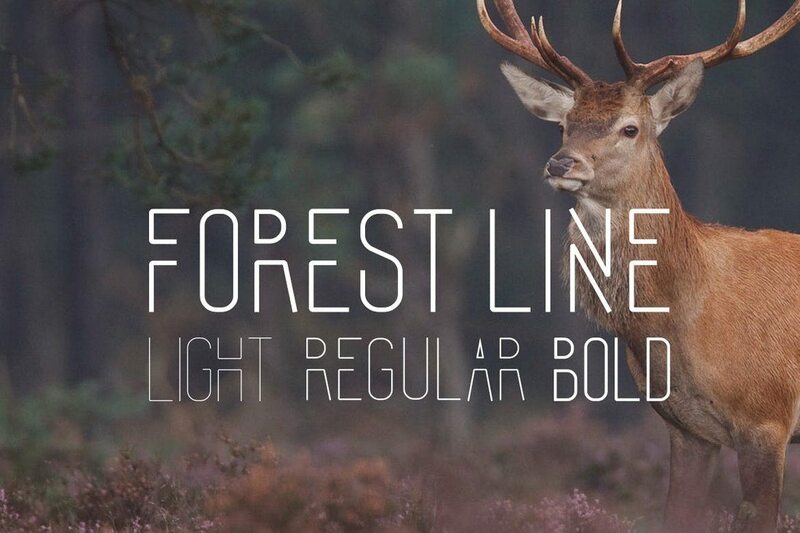 Forrest line is a creative font with a modern design. 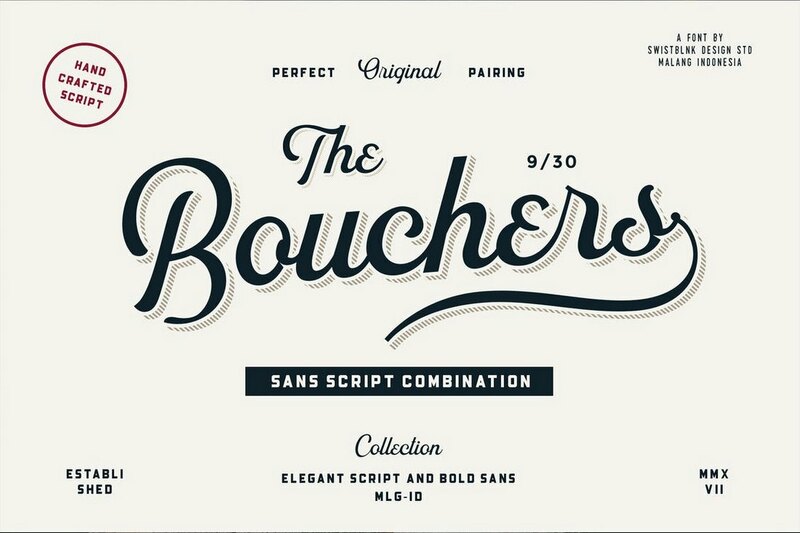 It’s a multi-purpose font that you can use to design logos, signage, monograms, badges, and much more. The font is available in 3 styles: Light, regular, and bold. 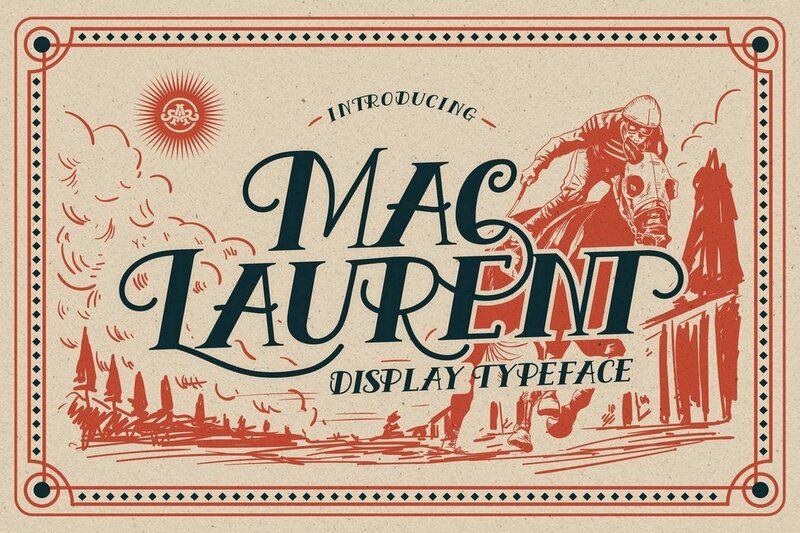 If you’re looking for a font with a retro-futuristic look, this is the perfect font for you. 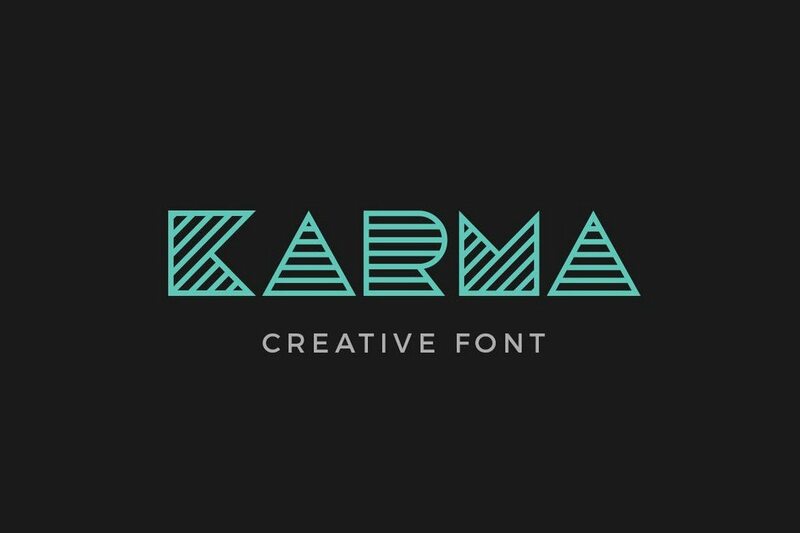 This font features a modern design with a retro feel, which makes it perfect for a fashion, luxury, and entertainment related brand designs. The font also includes a webfont version as well. 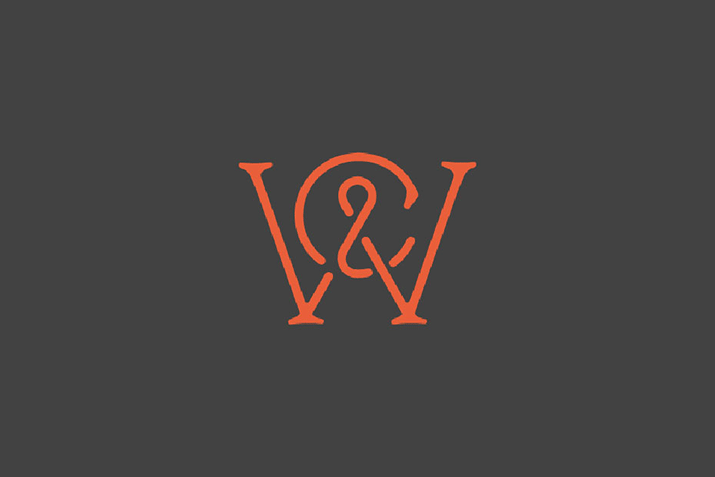 MaLaurent is a true monogram font that you can use to design classical and luxury brand designs, like crafting monograms for wine bottles and drink glasses. The font can also be used to design greeting cards, logos, and posters as well. The webfont version of the font is also included in the bundle. This is another modern monogram font with a hand-crafted design. It comes with several creative styles as well as a webfont version for your web-based design work. You can use it to craft monograms, badges, and even website headers as well. 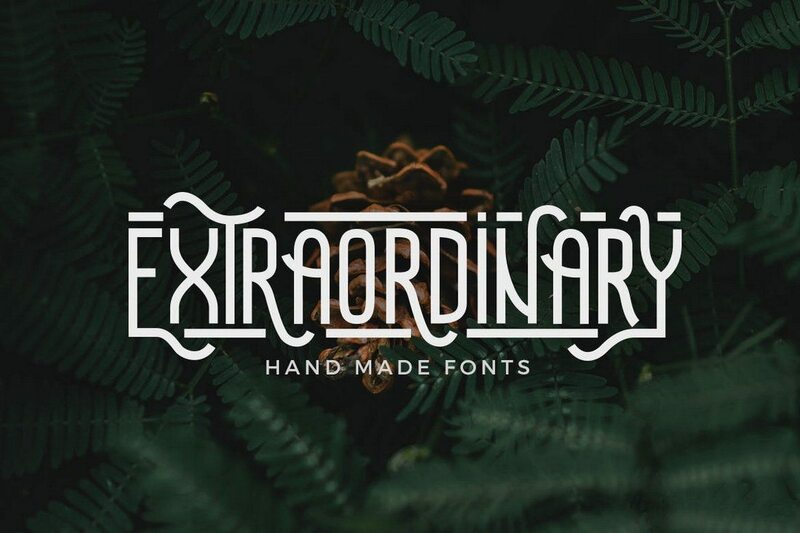 This font comes with a unique and a creative design that will certainly make your monograms, badges, and logo designs stand out. 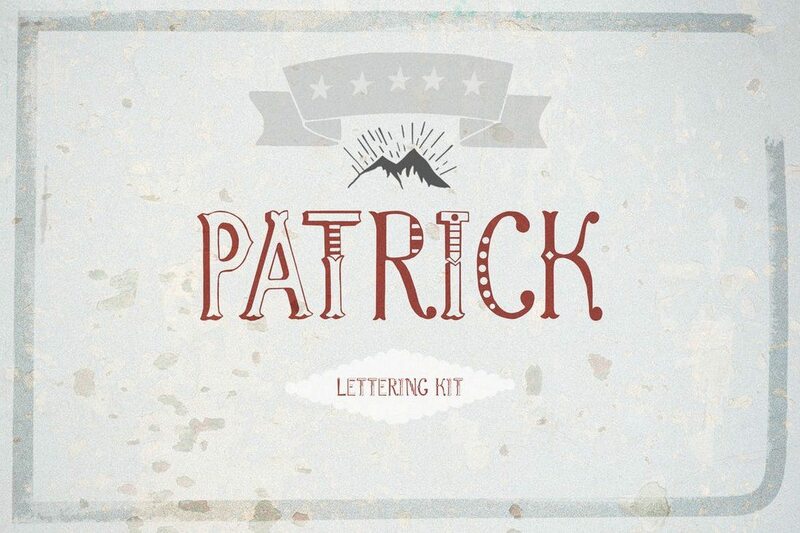 The creative and illustrated letters in this font make it truly one of a kind. Additionally, the font includes a vector file full of graphic elements for crafting your own illustrations as well. 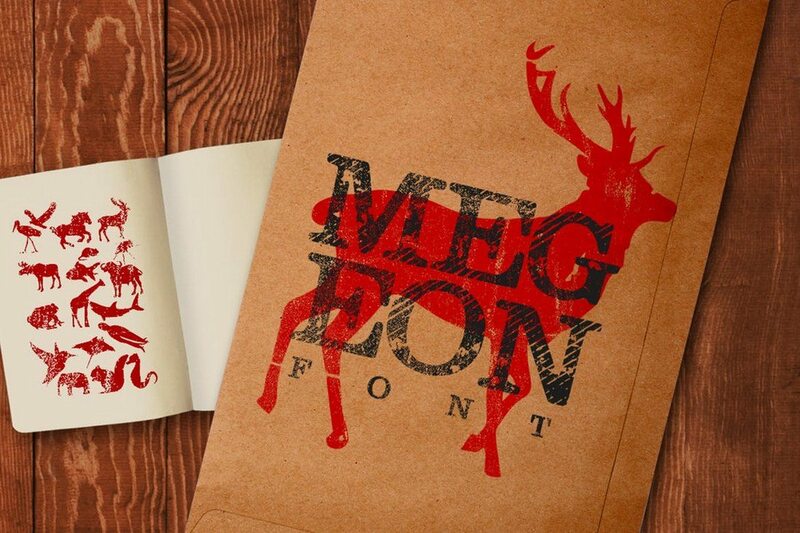 Megeon is a font made for badges, product labels, and signage. The font features a boldly modern design that makes is suitable for many different types of designs. It also comes in 3 different styles, bold, vintage, and grunge. The quirky and fun design of this font will allow you to use it with your entertainment and kids-related design projects. 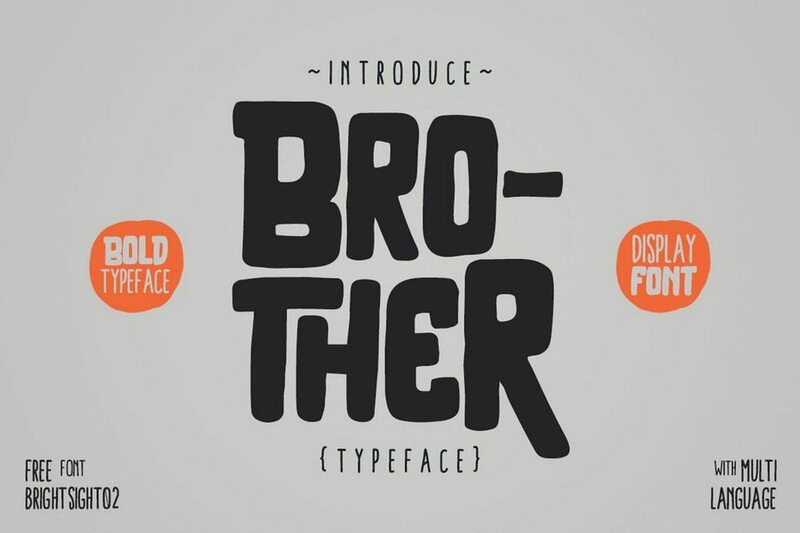 Brother is a bold display font that features many characteristics of a monogram font. You can also use it to craft book covers, posters, headers, and more. 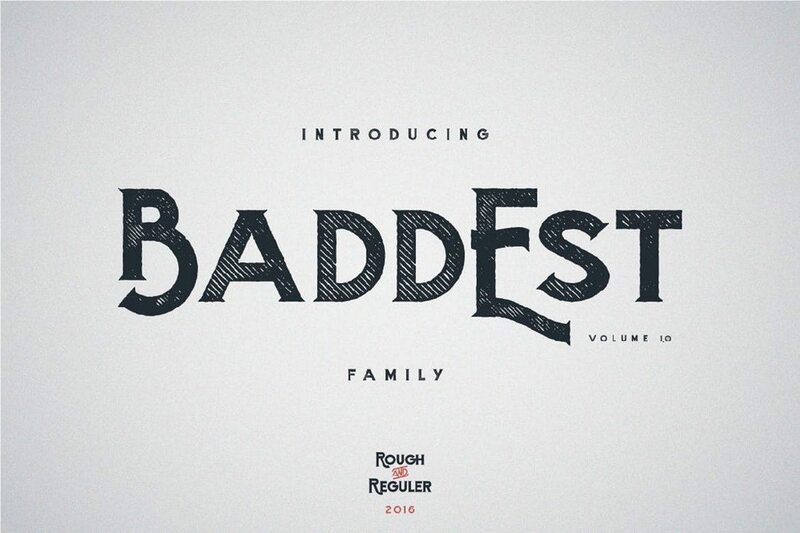 Baddest font comes in two styles, bold and rough. Both typefaces feature uppercase and lowercase letters, numbers, and ligatures. The textured design of the font makes it ideal for crafting badges and monograms, as well as posters, logos, and website headers. 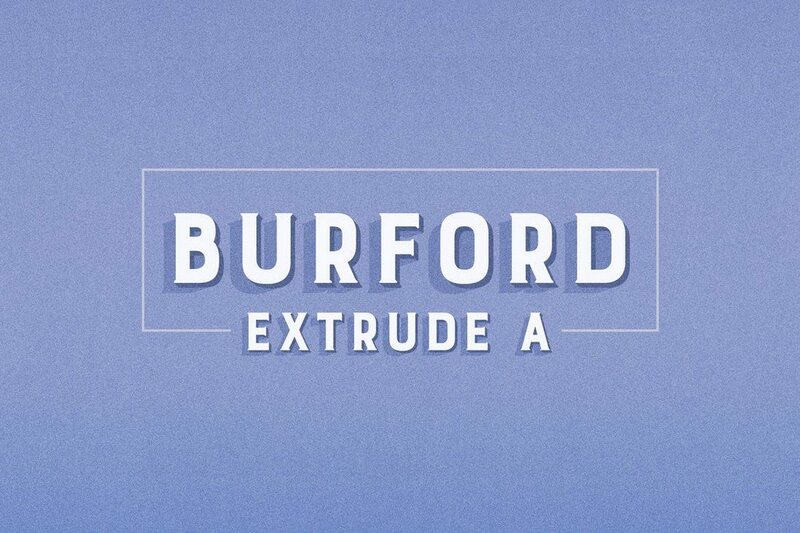 Burford is a bold font that comes with a professional design. 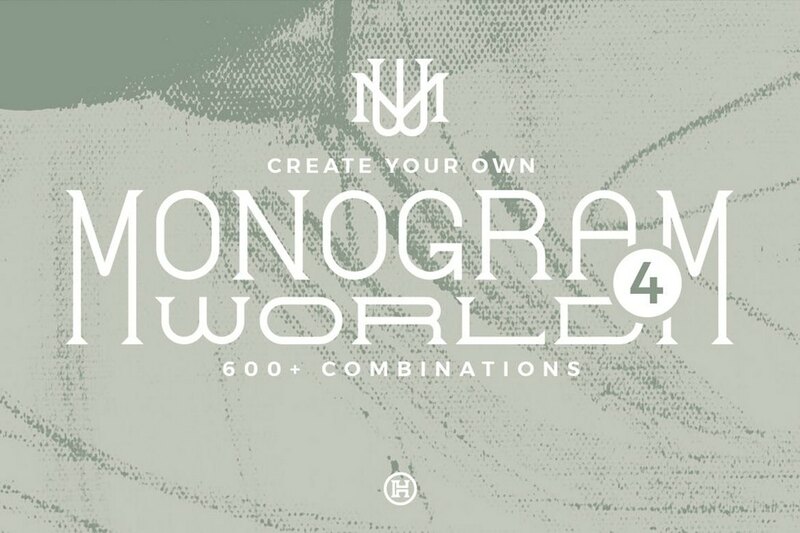 It’s perfect for designing many different types of monograms, logos, badges, and more. The font also features many extra features as well. 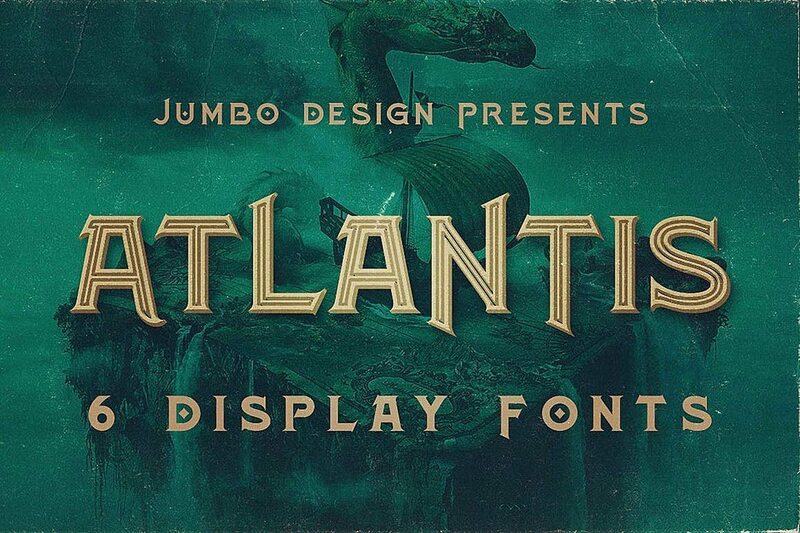 Atlantis is a truly unique font with an attractive design. The font comes in 6 different styles, including inline, grunge, and bold designs. 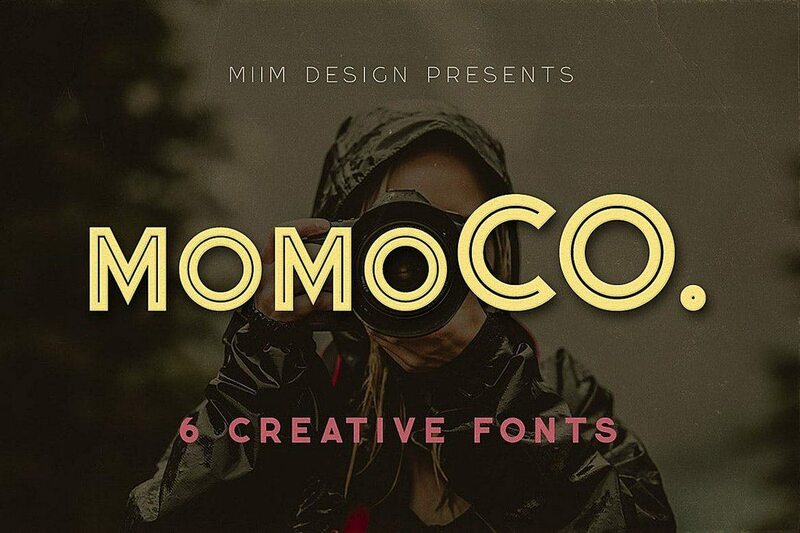 This typeface is ideal for designing all types of monograms, posters, and badges. 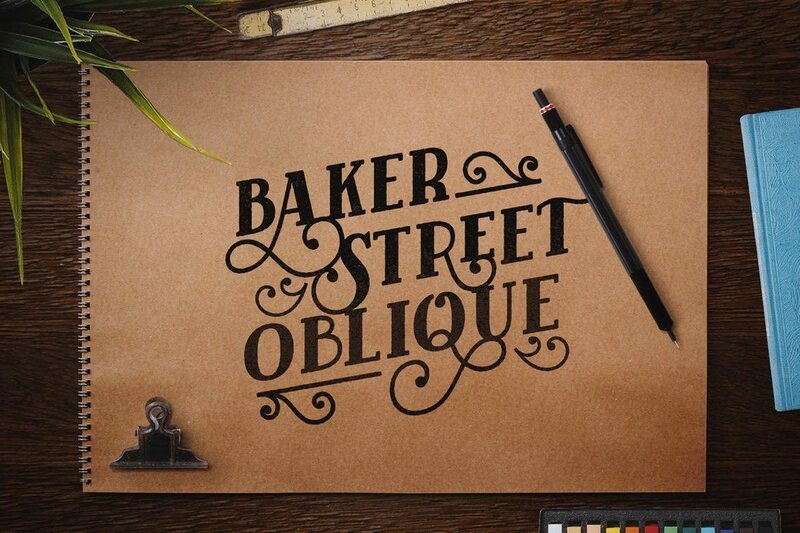 Inspired by the signage and designs from London, Baker Street is a font that will truly take your own designs back in time. The font features swashes and many alternate characters for also making your designs stand out. 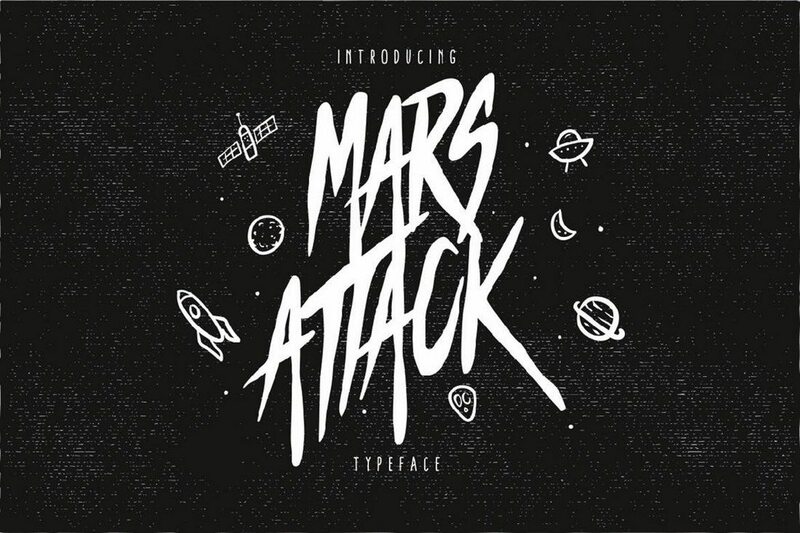 Mars attack is a creative space-themed font that features a horror-like design, which makes it perfect for crafting everything from monograms to signage, badges, posters, and more. This elegantly designed font comes in 4 different styles, including circular strokes, rectangular strokes, and a rough version. The font includes lots of alternate characters and ligatures as well. 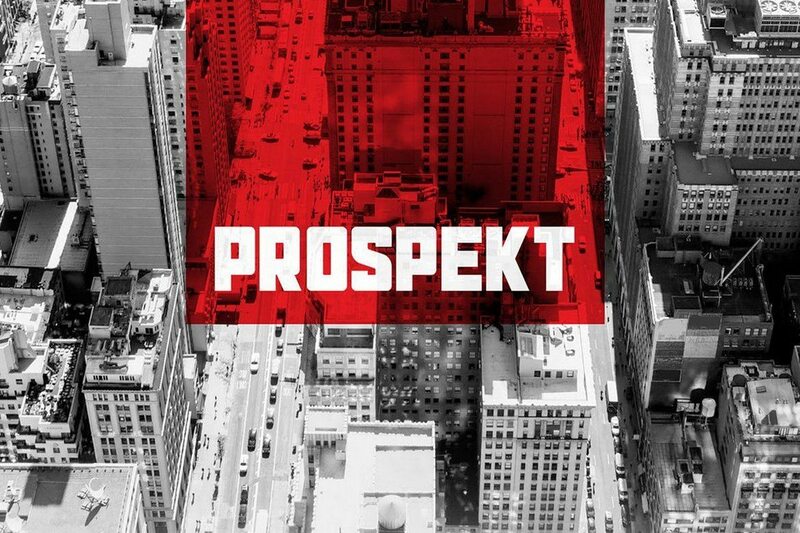 Prospekt is a font that features a design with perfect symmetry. It’s perfect for designing monograms, logos, and many other types of designs. The font also features 3 different styles, including rocky and press styles. This is a family of 6 fonts that features various styles of grunge designs. The font comes with a unique decorative layout that also makes it most suitable for logo and monogram designs, especially for fashion and luxury brands. 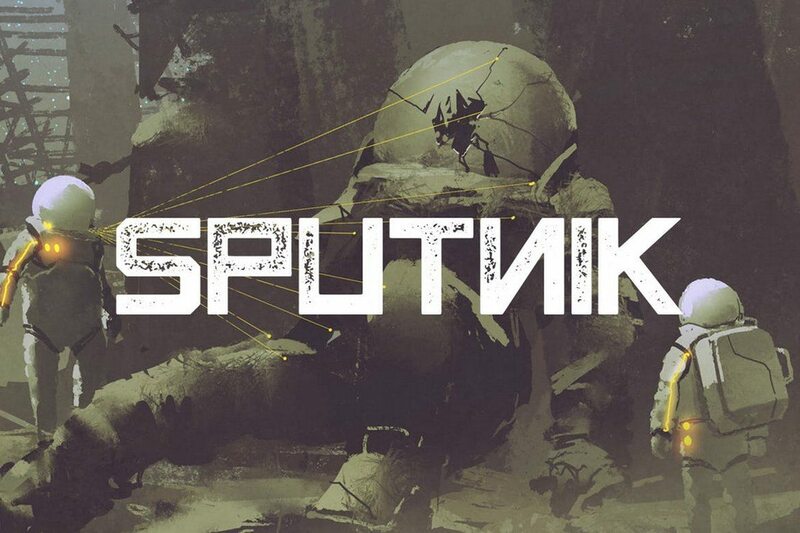 Sputnik font features a design inspired by vintage propaganda posters. It’s perfect for crafting posters, website headers, social media posts, and much more. The font 4 different styles and, according to the creator of the font, it looks great in Red. 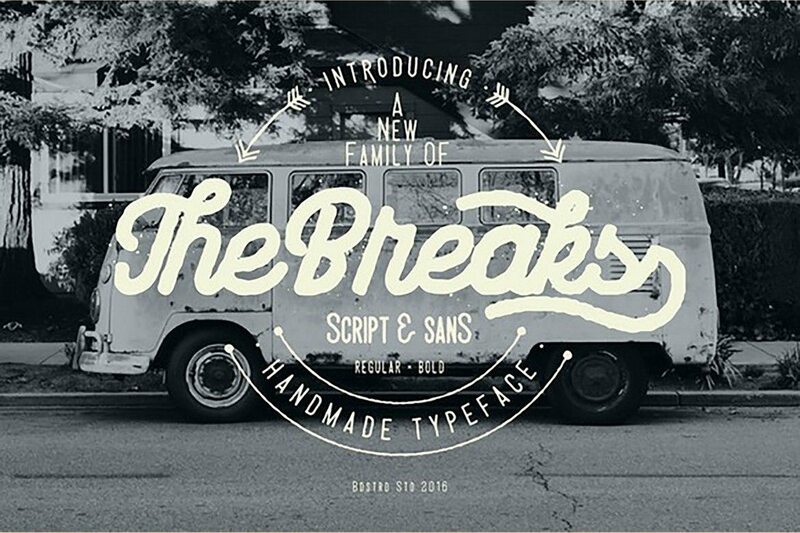 The breaks is a script font with a hand-made design. It can be used to craft many types of designs from badges, signs, monograms, and even posters. The font comes in several different styles, including script, sans, and bold. 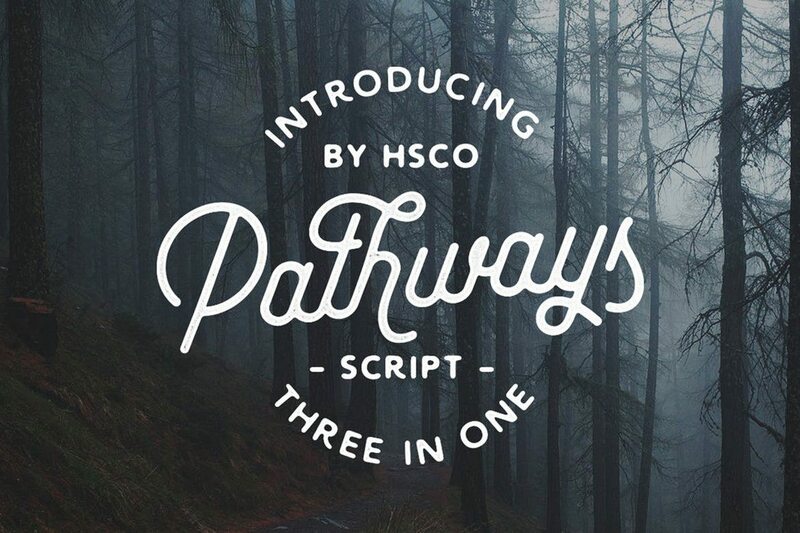 This is a font that features a truly handcrafted look. It features a design inspired by the old Greek philosophy and comes packed with lots of extras, including 42 silhouettes for making your designs look out of this world.